Dr Clemens Fahrig is the Medical Director of the Hubertus Lutheran Hospital in Berlin, the Senior Consultant at the Internal Medical and Angiology Clinic and the head of the Berlin-Brandenburg Vascular Centre (Angiology Berlin). 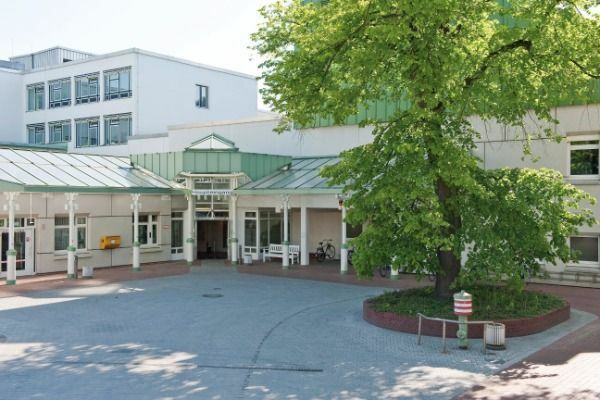 One focus of Dr Fahrig at the Hubertus Lutheran Hospital in Berlin is angiology, that is, the examination and treatment of vascular conditions, which are among the most frequent medical conditions in Germany. The particularly frequent vascular conditions include peripheral arterial occlusive disease (also known as Charcot’s syndrome), aortic aneurysm and carotid stenosis. Dr Clemens Fahrig’s clinic at the Hubertus Lutheran Hospital in Berlin is part of the triple-certified, interdisciplinary Berlin-Brandenburg Vascular Centre. Triple certification means that the vascular centres have been inspected and certified by three different specialist associations, namely, the Angiology, Radiology and Vascular Surgery associations. Thanks to the amalgamation of several sites, Angiology Berlin is able to combine the extensive expertise of a variety of disciplines (angiology, vascular surgery, radiology). Thereby, vascular conditions can be identified optimally and the treatment of patients with vascular conditions can be improved. 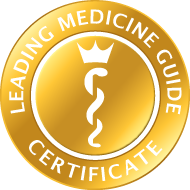 The certification underlines the fact that, under the leadership of Dr Clemens Fahrig, the diagnosis and treatment at Angiology Berlin take place in accordance with the guidelines, that is, in accordance with the current recommendations of the specialist associations. Within the framework of the interdisciplinary vascular conference, the specialists in the various disciplines discuss the best treatment for each individual patient. Hence, double examinations are avoided and the optimal treatment strategy is employed right from the beginning. The Department of Vascular Medicine at Angiology Berlin provides the most up-to-date diagnostic and treatment options. Whenever possible, minimally invasive techniques are used by the specialists at the Hubertus Lutheran Hospital in Berlin in the treatment of vascular conditions. The diagnostic range of Dr Fahrig at Angiology Berlin includes ultrasound examination (sonography) of the arteries supplying the brain (carotid artery Doppler), the vessels of the arms and legs, the vessels supplying the brain, the abdominal aorta and the intestinal arteries, the arteries of the fingers and the temporal arteries. Angiology Berlin and its angiology laboratory also provide other examinations, such as capillaroscopy (examination of the capillaries), the measurement of oxygen in the tissues, the determination of the walking distance, thermography (the measurement of the skin temperature), oscillography (pulse wave examination), venous occlusion plethysmography (flow rate examination) and phlebodynamomanometry (flow pressure examination). Important treatment emphases at Angiology Berlin at the Hubertus Lutheran Hospital in Berlin are acute (such as thromboses and emboli) and chronic circulatory disorders (such as Charcot’s syndrome), treatment of aneurysms (arterial dilatation), Raynaud’s syndrome (white finger disease) and diabetic foot syndrome. Dr Clemens Fahrig also treats varicose veins, chronic leg ulcers, vascular deformities and lymphoedema. Bypass insertion to the leg: The entire range of upper leg, lower leg and foot bypasses is provided for arterial occlusion in the region of the lower extremity.